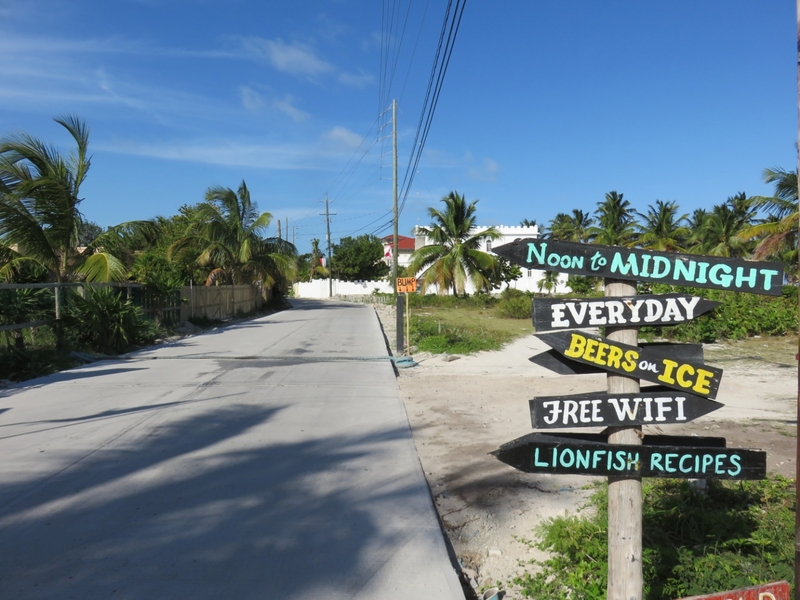 Ambergris Caye has been thought of as a tiny island for a while. A small island with a big diving problem, the t-shirts say. It is not a small island at all. 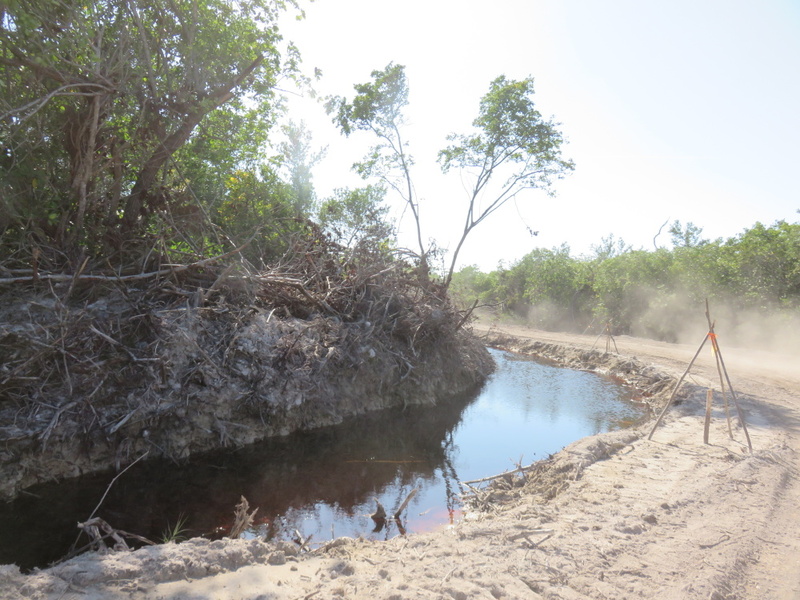 And the narrow “sea to lagoon” sections that most see when visiting are just a sliver of a much bigger land mass. 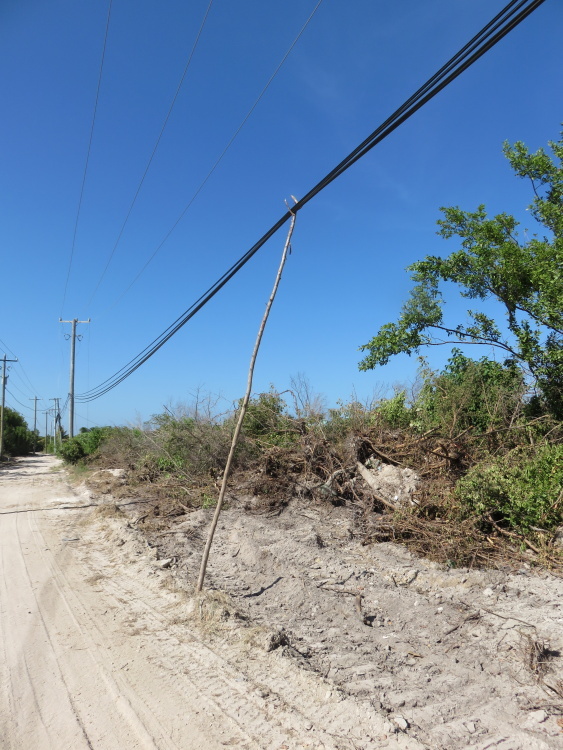 One that has been relatively unused due to lack of roads and infrastructure and because the island has always been…well…big enough. But as popularity grows, more tourists are visiting and more Belizeans are coming to work and live, we need more room. 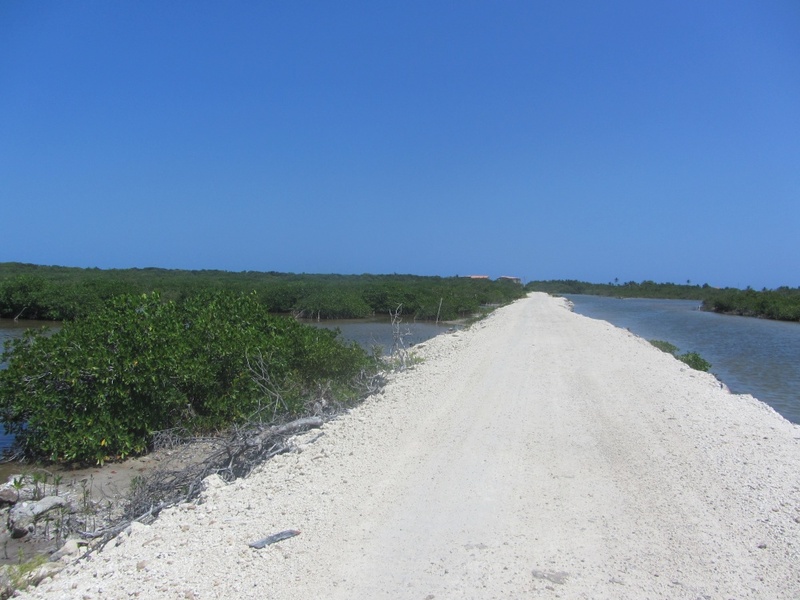 And building a road up north – the road that has already been paved from the bridge to Belizean Shores Resort – is a HUGE part of it. GO NORTH! It’s where the land is. Hopefully you can see where San Pedro town is…and you can see where the Grand Belizean Estates development is (the grid in the center of the map) – the current paved road (that runs along the eastern beach) stops about…half way between. 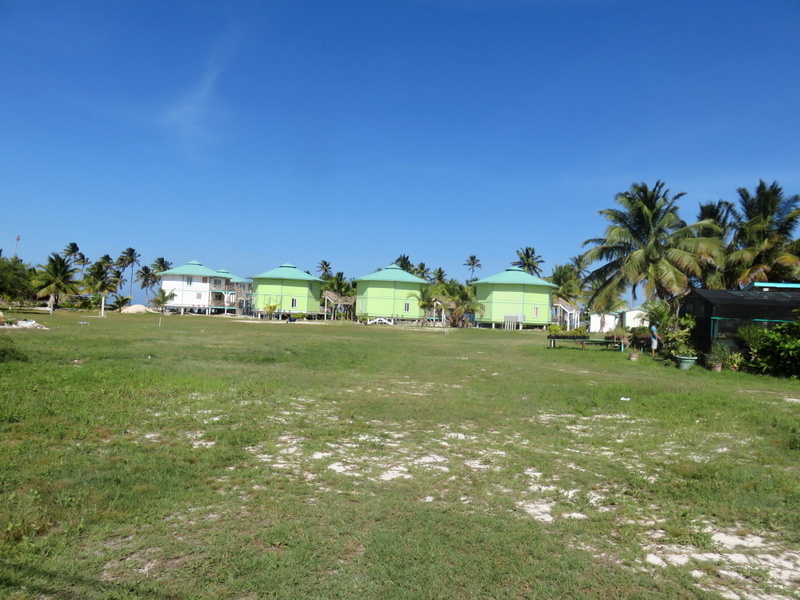 At the Belizean Shores Resort at about Mile 3 (North of Town). 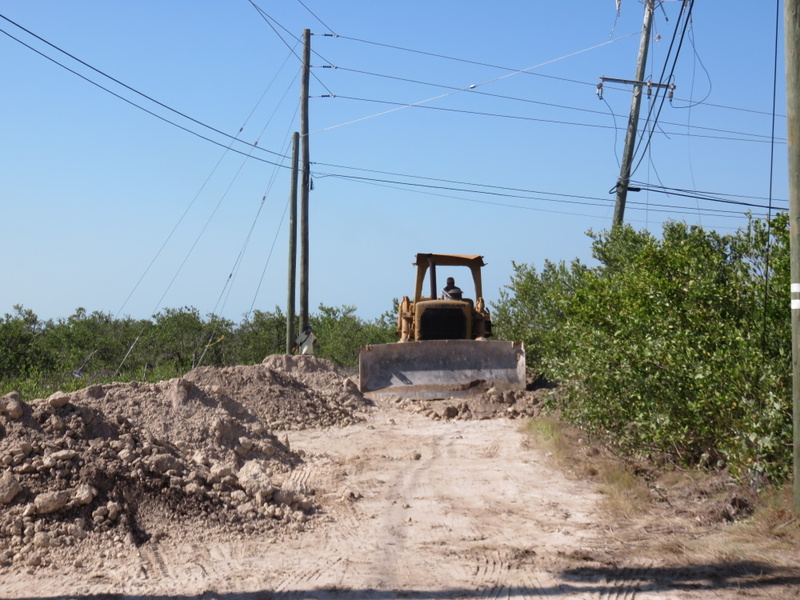 Work this past week started on the road extension…that will take the road ALL THE WAY UP to the old Blue Reef Resort now La Beliza – at about mile 8. Residents up north watched barges with huge trucks and equipment travel north over the last two weeks and yesterday, I drove north to see how the progress is going. And…it is…well…quite shocking! Things are going at full tilt. Here are some pictures starting at about Mile 4.5. 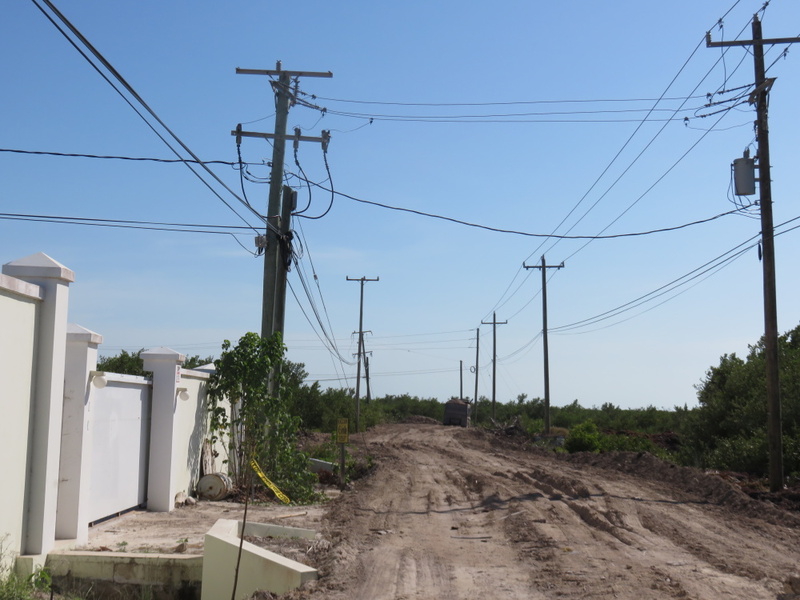 The toughest part of the road north right now is back behind Mata Chica Resort. 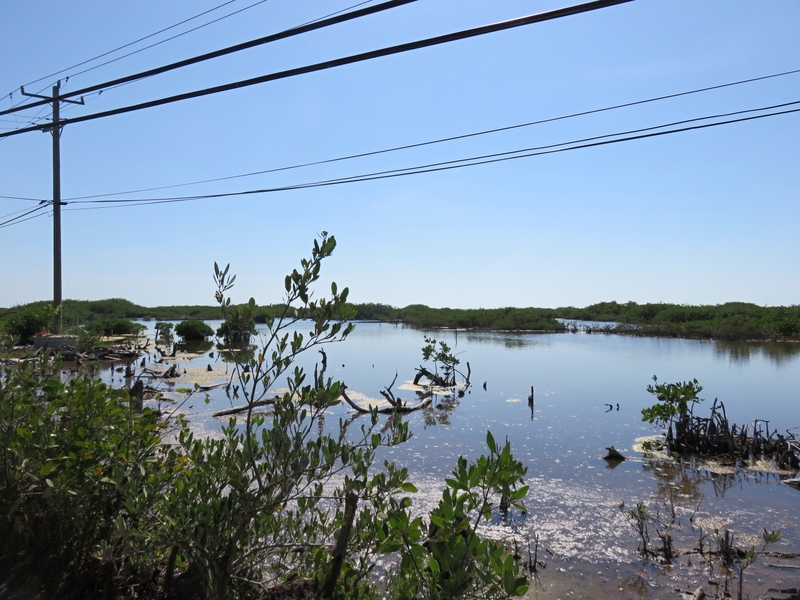 The lagoon creeps very close (and onto the current road in spots) – the proposed “new road” is going to be through this lagoon. LOTS of fill is going to be needed. You can see some of the surveying pegs in the water. 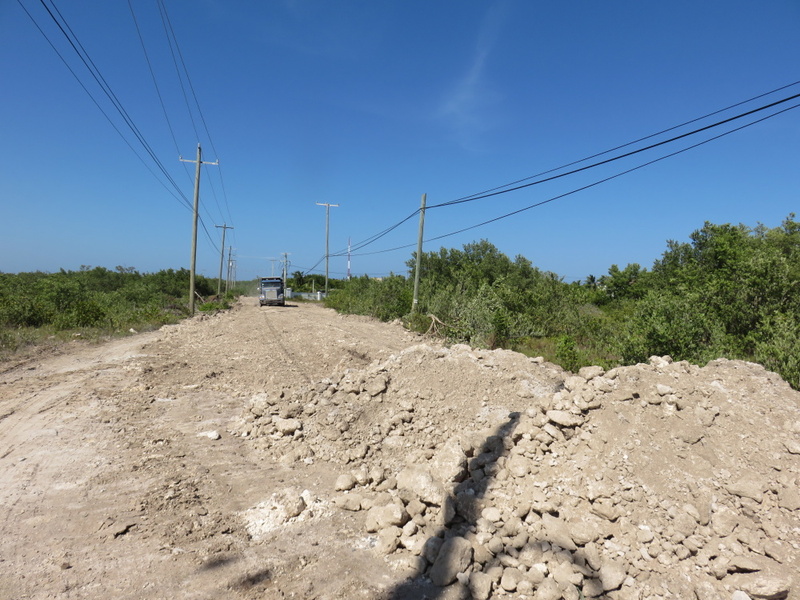 The road has been widened significantly and roughly graded. The old Costa Maya Resort, now the Costa Blu was set to open last Christmas time but never did. 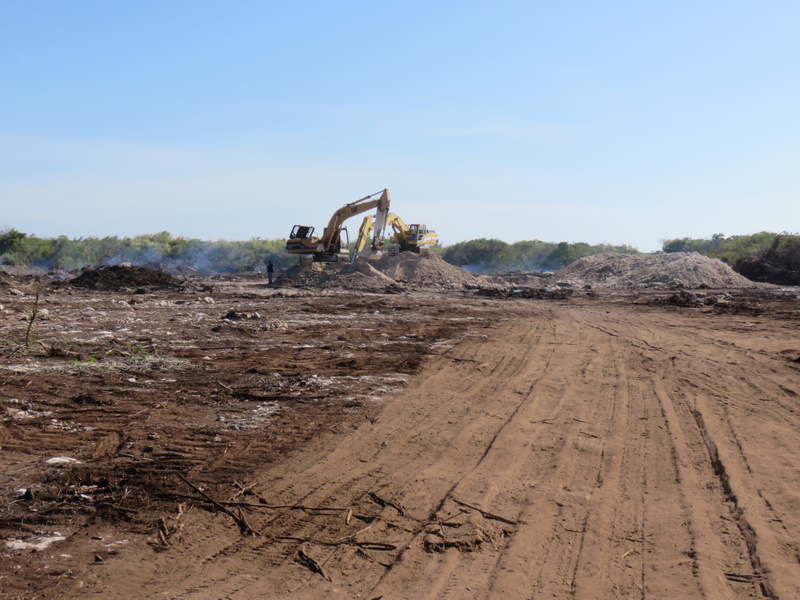 Construction continues for what is billed as an “all inclusive” resort – a pretty new thing for Belize. Update: Costa Blu is opening November 1st, 2015 and they start selling room/vacations on June 1st. A massive truck of fill drove by. By the end of this adventure we were coated, head to toe, in dust. Look how wide this road is! 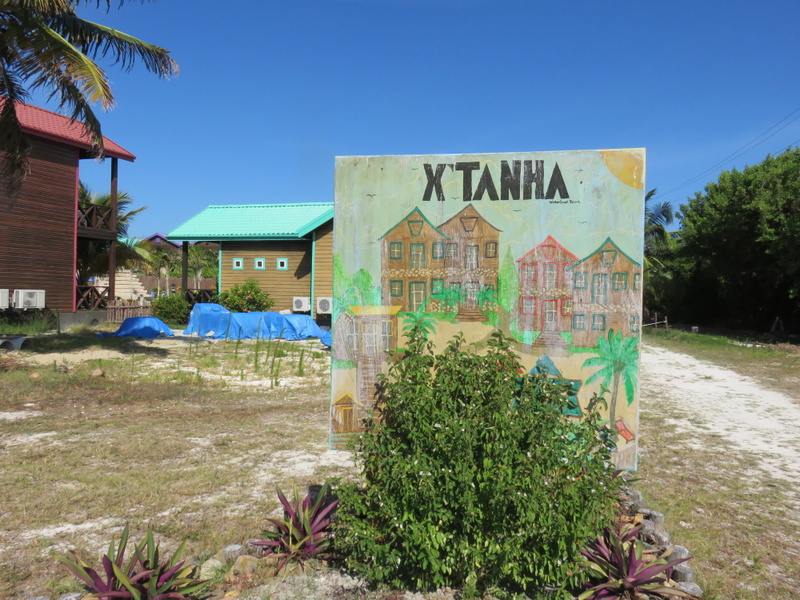 Going towards Xtan Ha Resort. 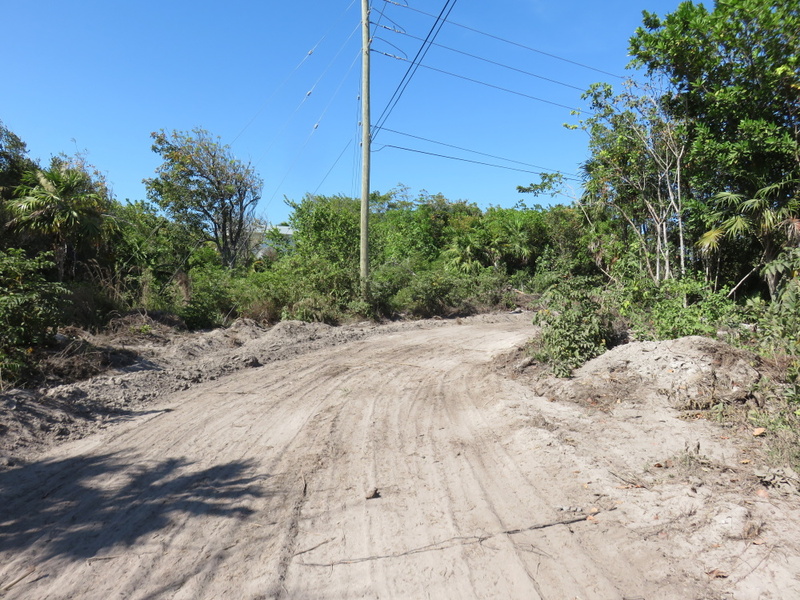 And for that, at the end of the “new road”, just behind La Belize Resort, we headed on a massive new road west. The farther in we got, the darker the road became. Soil! About 1/3 of a mile? 1/2 a mile? 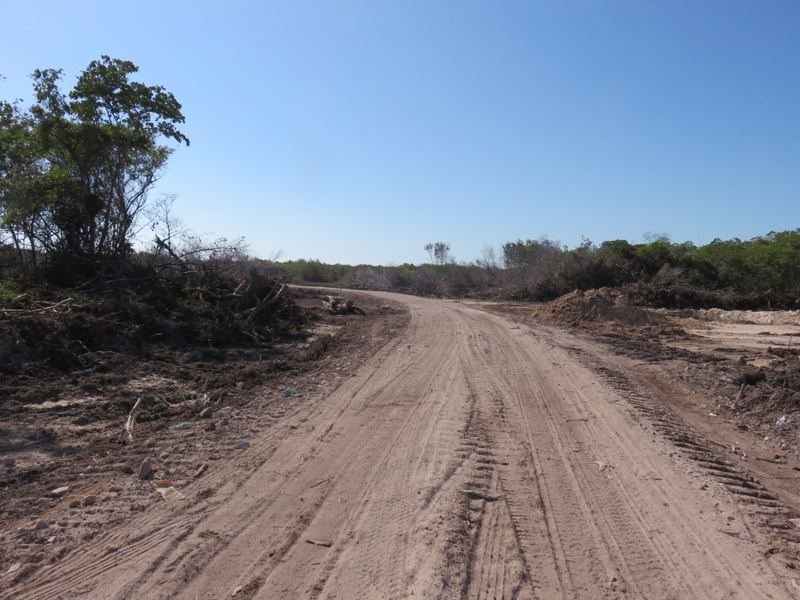 in we reached a quarry…still smoldering…very recently cleared. 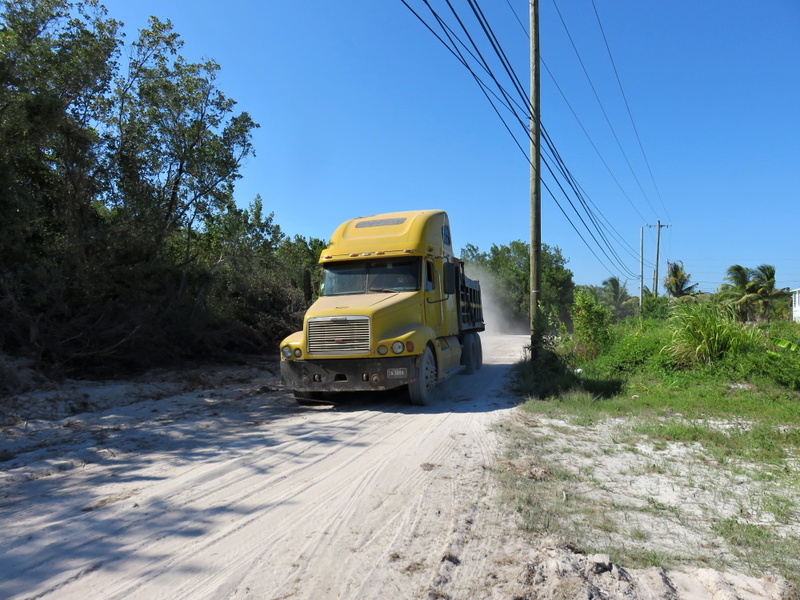 Here is where all the road material is coming from – a quarry. This project is being run by the Mennonites from Orange Walk. 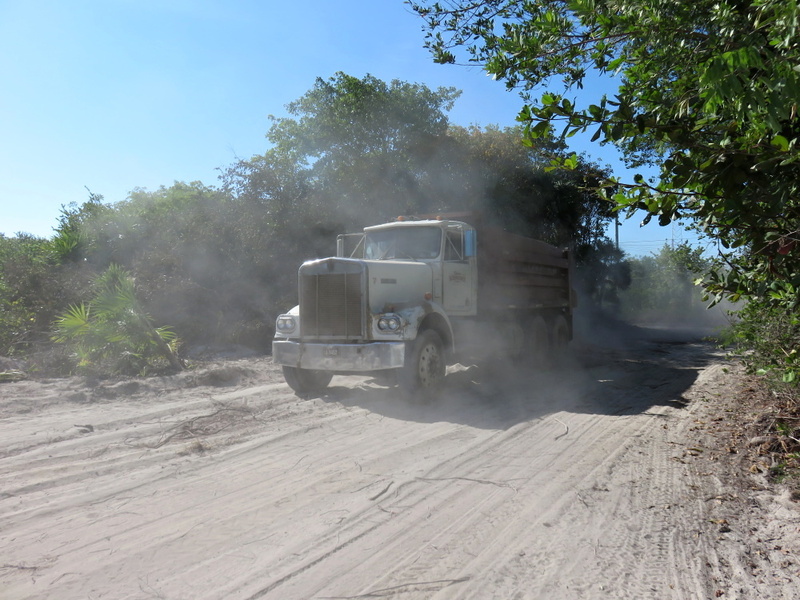 They are producing the fill and RJB Construction, from Belize City, has the contract for the road. Paving is a later Phase 2. There has been SO MUCH DONE up here in just a few weeks…it’s almost mind blowing. 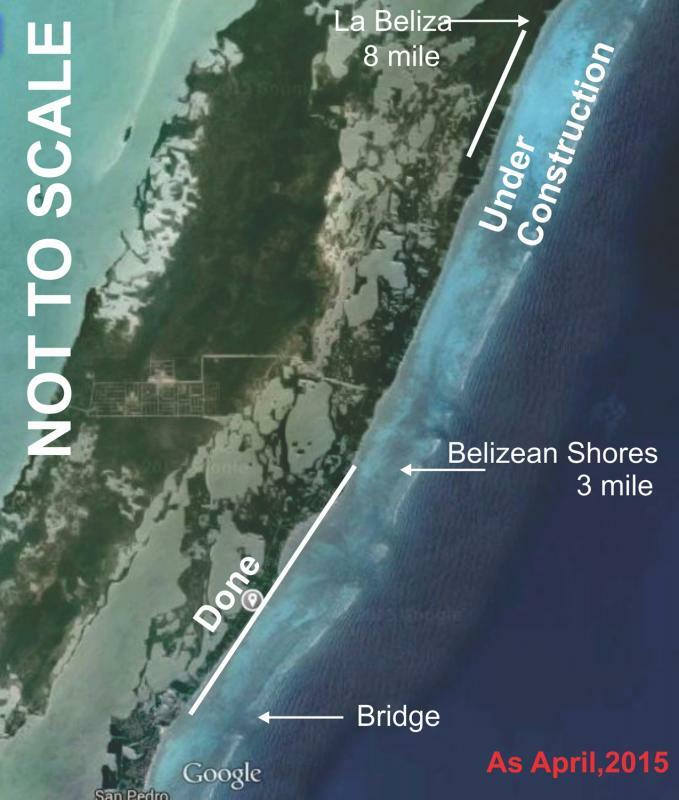 Just think…in a few months, you will be able to drive from town to Xtan Ha, over 7 miles north in…30 minutes? How is this going to change the north? Businesses up north? Land values along the road? 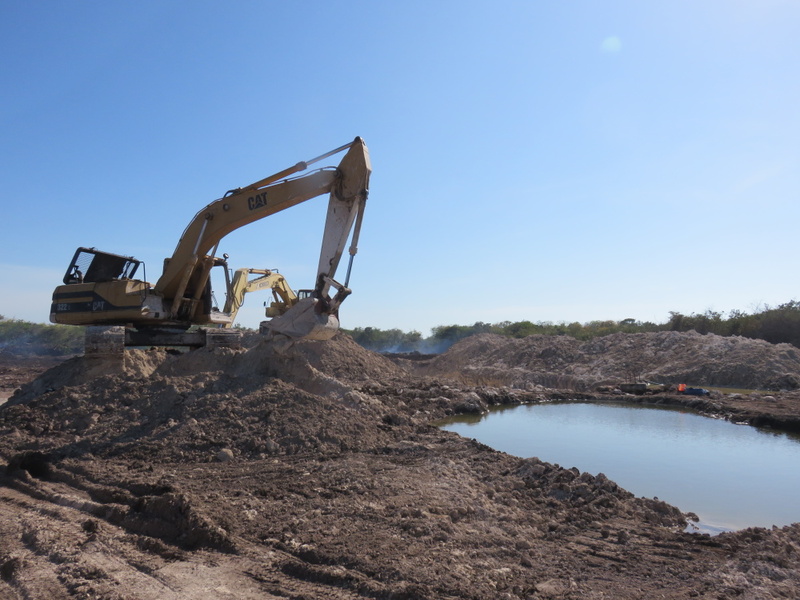 Now there is a quarry for fill…we can make more land! Where is San Pedro Town Norte going to be located? Grocery stores…a new gas station? So many questions…such a HUGE change to this island. I almost don’t know what to say. For a bit more clarity…someone with better skills than me made this map and posted on Ambergriscaye.com. 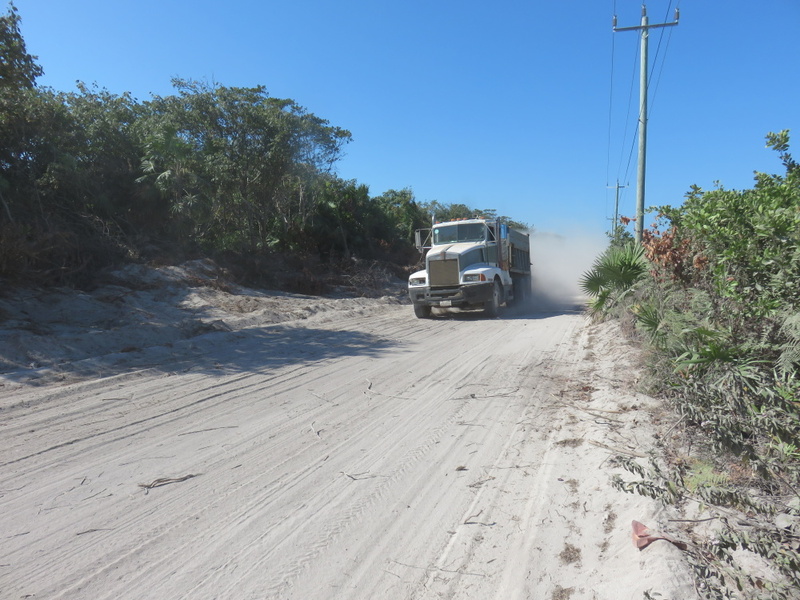 Interesting…I’ve heard nothing about a road pave south. Will ask around! Rebecca, how is the road by me and Michelle’s property ( next to Pete and tammy’s and indigo) ? 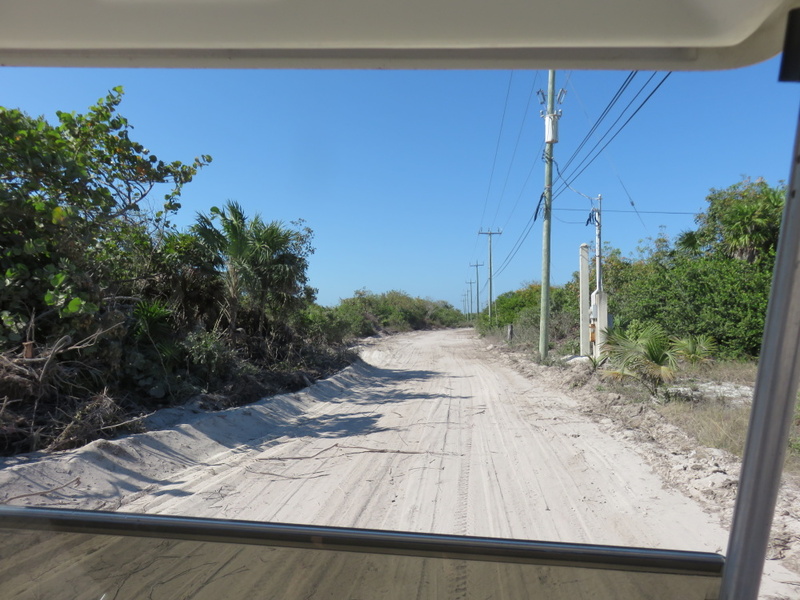 You guys are in the middle…so…after Belizean Shores, the road you always knew still exists…it’s fine right now. I have been viewing all I can on Belize in the hopes of possibly buying a lot somewhere and building a small house someday. Your internet blog has provided a huge amount of updated information with your wording and your great pictures. You make it all very clear and down to earth. I will use your site as often as I can to stay tuned to the goings on down there. Thank you so very much for all your efforts. You are a one-stop-shop for me. Joe. P.S. I would love to see if you can recommend what places to consider for building and what places to stay away from.